Children will encounter play like never before with the Lexington play structure. 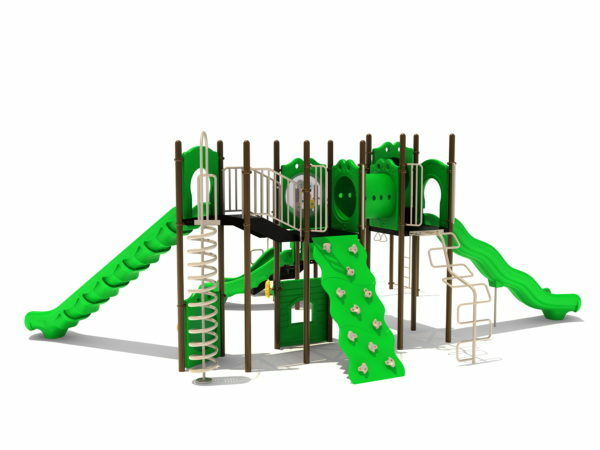 Children can access the lowest elevated platform of this structure by a set of regular stairs or by taking a vertical ladder to an overhead horizontal snake ladder and onto the platform. From this platform children can slide down a right turn slide or climb up an incline tube bridge to a higher elevated platform; a tube bridge connects this platform to another. 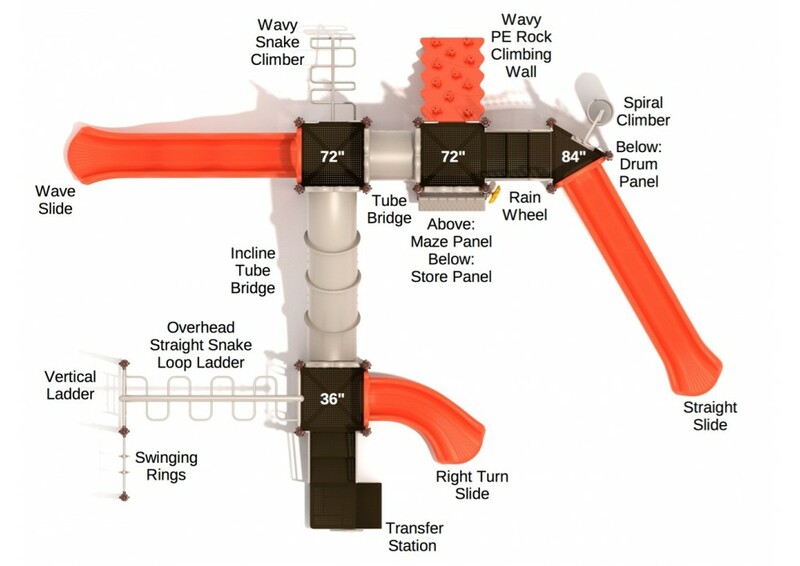 A snake climber, vertical PE climbing wall, and a spiral climber give children access to this higher level, and a wave slide, and straight slide give children a way down from this level. A gear panel that borders the upper level creates a safe barrier for children, as well as giving them something to play with. A store panel, drum panel, and rain wheel make the Lexington play structure ADA compliant. 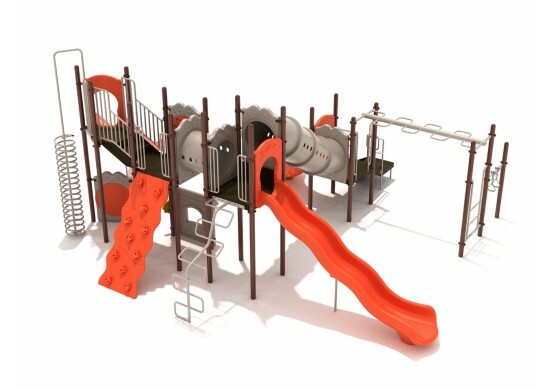 This structure is designed for children 5-12 years of age.